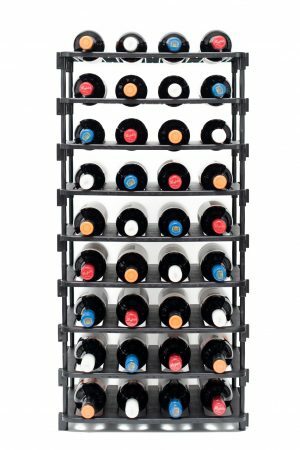 Store your wine safely and attractively in the Vinrac 36 bottle wine rack. 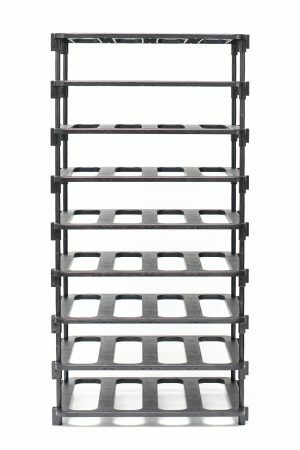 It’s a perfect fit for those tight underutilised spaces such as under stairs, along walls, and in or on top of cupboards. It is the perfect wine display solution for homes, bars, cellars, restaurants, and wine retailers. 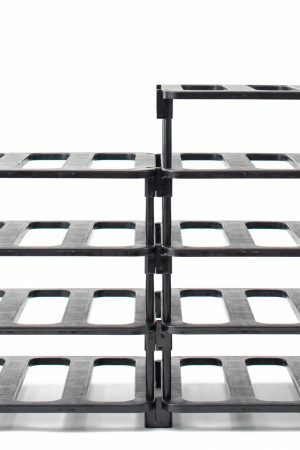 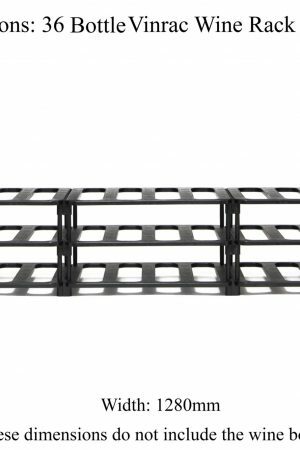 With it’s modular design, you can easily add to it vertically and expand the rack sideways, and it’s simple to assemble. The thirty-six bottle wine rack measures 245mm by 1280mm by 319mm deep. 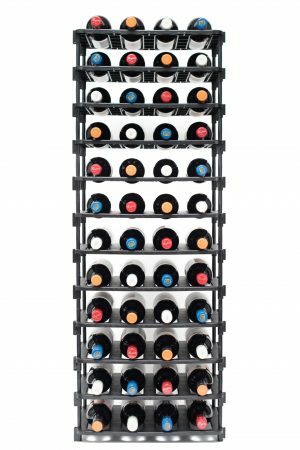 It is a perfectly compact size yet the modular wine rack’s smart bottle cradle can hold bottles up to 90mm in diameter (most wine bottles are 75mm). 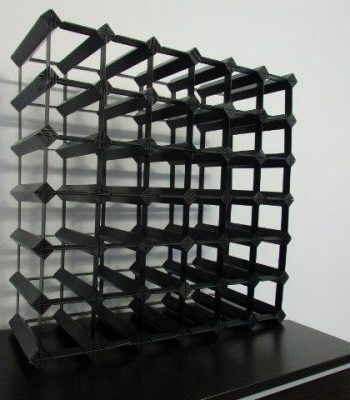 We make the whole process of creating your new wine rack so easy. 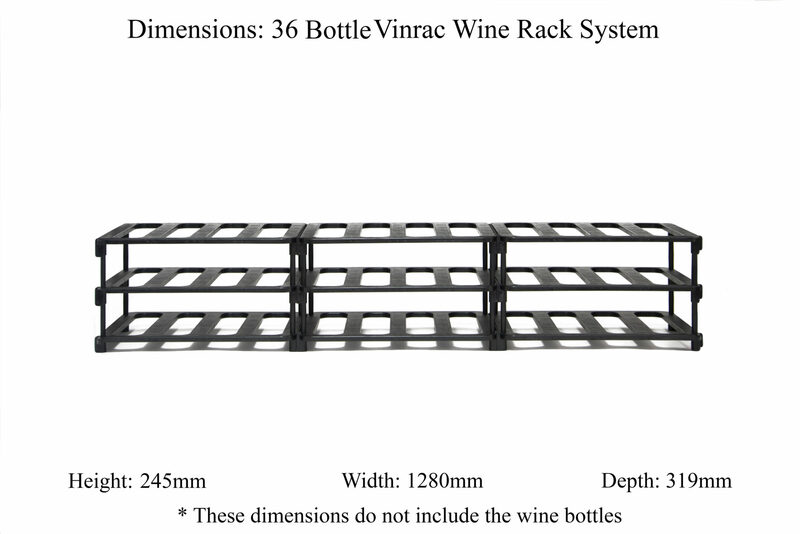 Our secure and straightforward ordering process will see your new wine rack at your door in the shortest time possible. 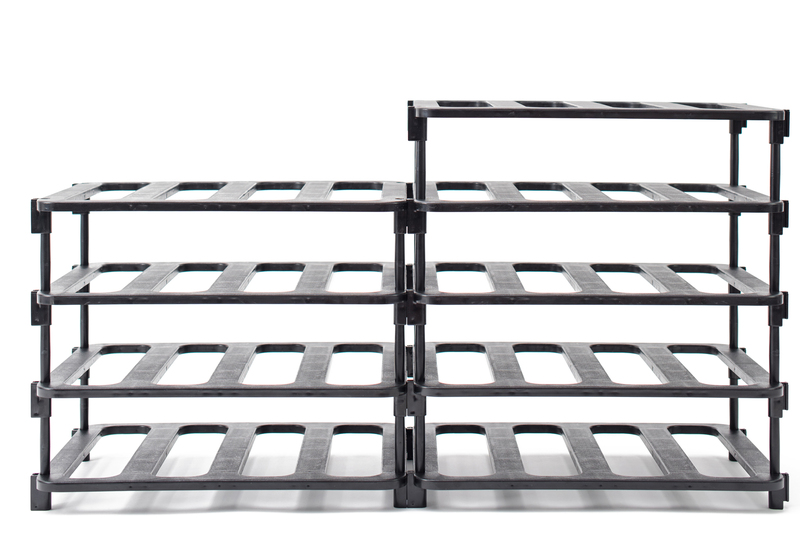 With no tools or expertise required, installation is simple. 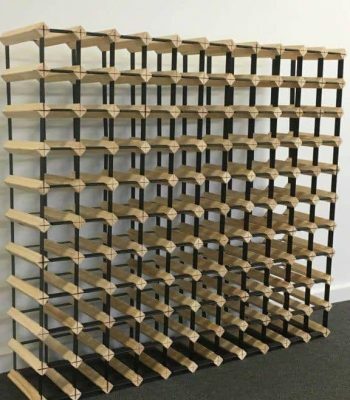 The instructions provided (or visit our installation page) will walk you through the process and within minutes you can be enjoying and putting your stunning new wine rack to work. 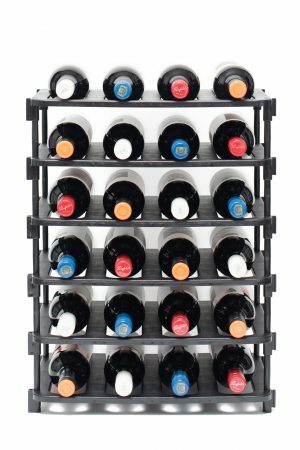 The tough, moulded fittings in a Vinrac wine rack easily slot firmly into each other providing real structural stability and strength.